Academy Award winning director Davis Guggenheim’s 88 minute educational documentary, He Named Me Malala, aims to share with the world the private and public life of teenage activist and the youngest ever Nobel Peace Prize winner, Malala Yousafzai. If I think back to the first time I heard about Malala’s story, it was on BBC Oxford back in 2013. I used to listen to local radio a lot whilst driving to and from work, but one national story caught my attention that day. You see, Malala – who now lives in Birmingham – was being interviewed about why, at the age of 15, whilst sat in the classroom of her home town of Swat Valley in Pakistan, she was targeted for assassination by the Taliban and shot in the head at near point blank range. In talking about her road to recovery, from being in a coma to bravely discussing how she was not going to let the death threats stop her campaign, I was genuinely moved and close to tears because it was such a powerful speech. Not the most practical of problems to have when you’re trying to navigate the A34 roundabout at 8.30am – although I believe that’s what you might refer to as a first world problem. But it’s true. It was incredibly moving and I simply couldn’t believe that it was a 17 year old saying these things. If I try to imagine what I was like at that age, and whether I’d have been able to do what she did? There’s just no way on Earth that I’d have had the kind of fortitude that Malala displayed. After being shot in the head, kicked out of her country and told if she were to ever return, her entire family would all be killed, just for holding an opinion that was different to the criminals who had overtaken her home town and imposed their own rule of law; it’s unbelievable. 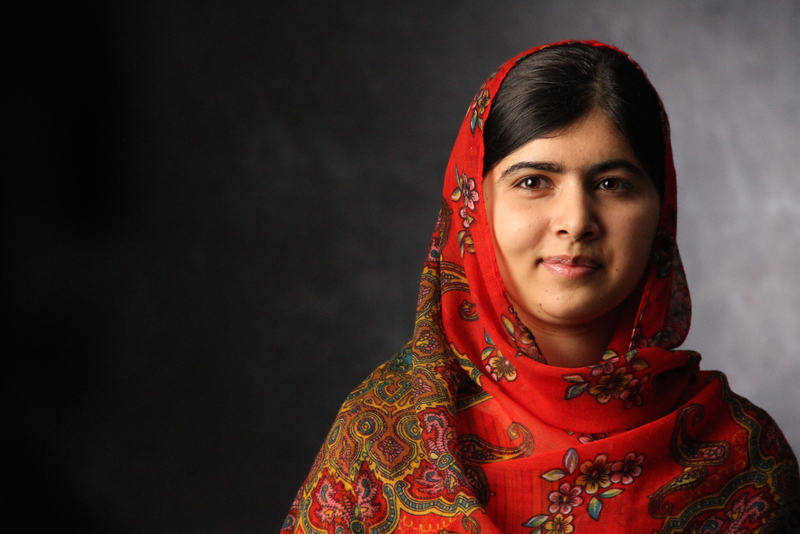 Malala won the Nobel Peace Prize last year, becoming the youngest person ever to win it. But He Named Me Malala focusses slightly less on the importance of winning the award and instead what it really tries to do is balance this by showing Malala the way she is at home. Particularly focussing in on her family and her relationship with her dad; a huge influence on her activism. There’s also an attempt to balance this personal life with her travels around the world, speaking to presidents and royalty. Not only speaking with them, I might add, but telling them, without any fear, exactly what she wants from them. For example, her appointment with Goodluck Jonathan in Nigeria where she demands he does something to save the girls that were kidnapped by Boko Haram shows exactly why Malala is an incredible person. Unfortunately, the documentary is something of an inconsistent mess. By trying to focus on two different aspects of her life, and with such a short run time, it can’t truly decide what it really wants to be. You see the mundanity of life for a teenage girl, sitting on class and writing her homework, mixed with scenes of her recounting being oppressed in Pakistan. Then it’s straight to a scene of her looking up pictures of Roger Federer on Google images, back to talking about how her dad’s life was threatened. It’s simply not enough of one thing nor the other, despite what should be an interesting juxtaposition. It paints the picture of Malala as a normal, regular human being. But then, on the other hand, it shows you the extraordinary things she’s achieved and is capable of and you see with your own eyes, hear with your own ears, just why she’s not a normal, regular 17 year old. She’s capable of so much more than the normal person. Apparently, He Named Me Malala is being made available to secondary schools all around the country. And rightly so, in a way. Her message of equality of access to education for everyone in the world is an important concept for kids to learn about, so it clearly makes sense to send it in to schools. Likewise, I am personally glad that I managed to catch it in its short theatrical run because I have learnt a lot about Malala that I didn’t know already. But – and it’s unfortunate that there is a ‘but’ – it seems like it could’ve been more insightful and may be a case that the person at the centre of the story is more interesting than the way her story is told.